Do you suffer from painful bunions? Are you hoping to avoid bunion surgery? If so, you may be interested in joining us on Thursday, July 5th at 5:30 pm for the fourth installment of Elio’s Wellness Information Series. 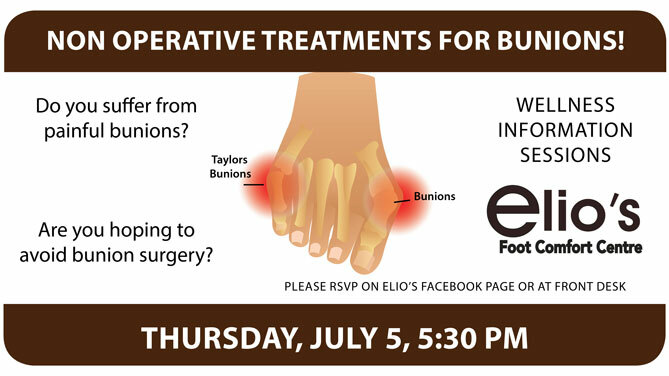 This free session will focus on non-operative treatments for bunions. Light refreshments will be served, and all attendees will receive a free ballot for a chance to win an Elio’s gift certificate. RSVPs are strongly recommended for this session. Reserve your spot today by calling us at 905-227-4215. We hope to see you on July 5th! Elio’s Wellness Information Sessions are held on a monthly basis, and our 2018 schedule is posted online. If you have any questions, or if you would like to reserve a spot for any of these sessions, give us a call at 905-227-4215 or sign up on Elio’s Facebook page. 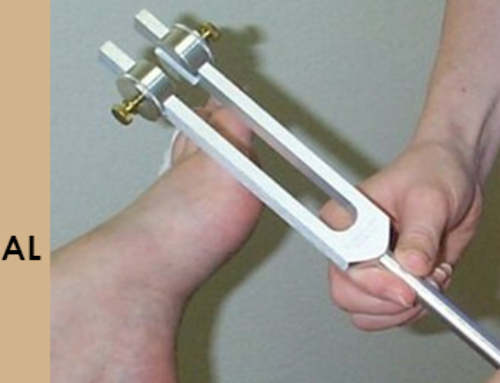 Non surgical Bunions treatment may include proper orthopedic footwear and / or foot orthotics. According to Wikpedia, this problem affects about 23% of adults. Females are affected more often than males. Usual age of onset is between 20 and 50 years old. The condition also becomes more common with age. Need bunions treatment? Bunions result from abnormal bone alignment of the 1st metatarsaophalangeal joint of the great toe. On occasion, bunions can occur on the 5th toe (Tailor’s Bunions or Bunionettes). Bunions can cause pain, swelling and redness. A bunion is a deformity of the joint connecting the big toe to the foot. The big toe often bends towards the other toes and the joint becomes red and painful.Onset is gradual. 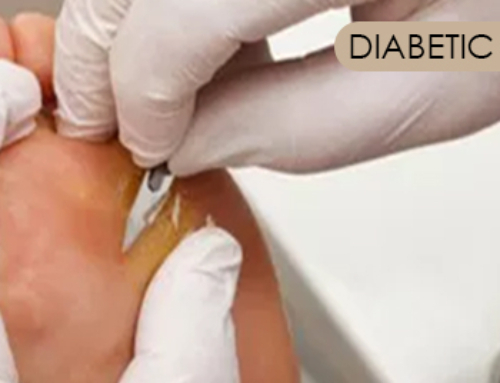 Complications may include bursitis or arthritis. Elio’s is a member of the Pedorthic Association of Canada. 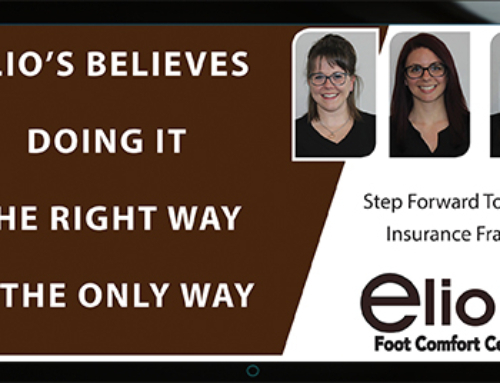 Learn more about foot health from the Canadian Certified Pedorthists at Elio’s Foot Comfort Centre in Thorold.